Though the top floor has been reached, the final tapered peak has not yet been installed. Once it reaches the full height of 1,050 feet, the tower will be tied with the New York Times Building and the Chrysler Building as the sixth-tallest building in the city, and 13th tallest in the United States. Hines is the developer. 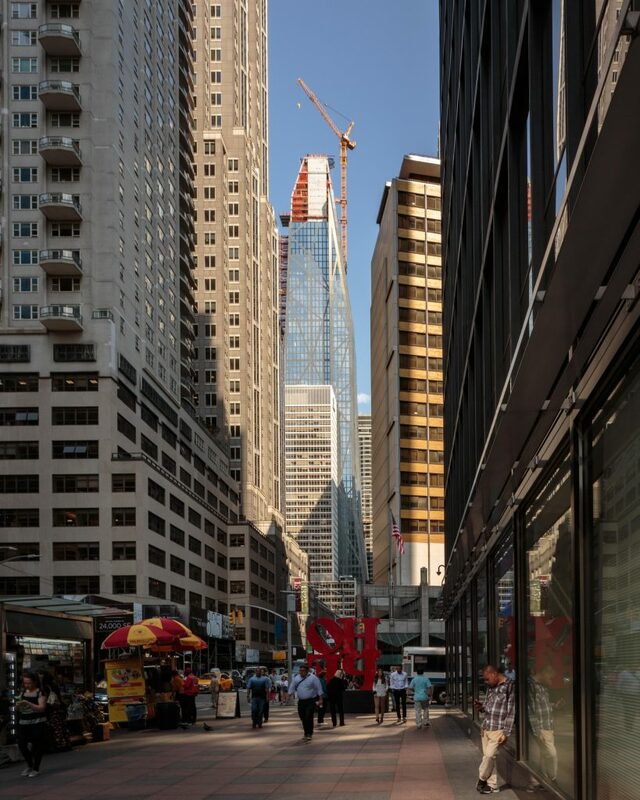 The through-block supertall will rise 73 floors above ground, or 82 for marketing purposes. 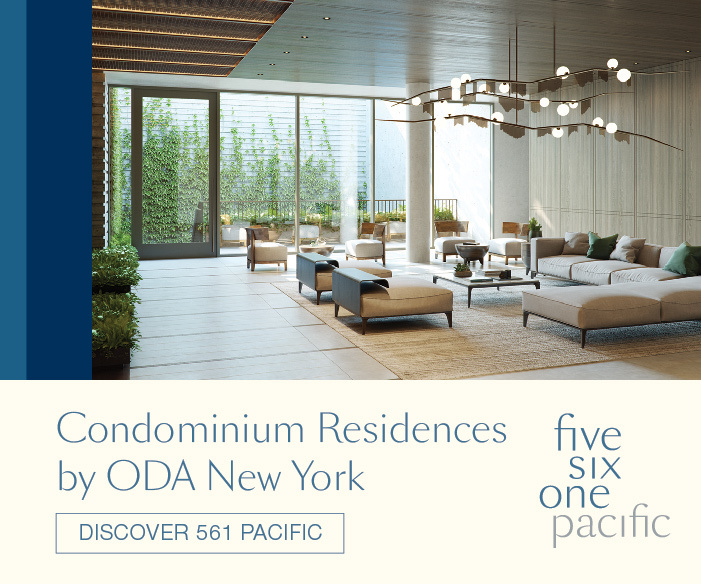 145 condominiums will be created, with special services including housekeeping, pantry stocking, pet walking, laundry, and in-unit catering. 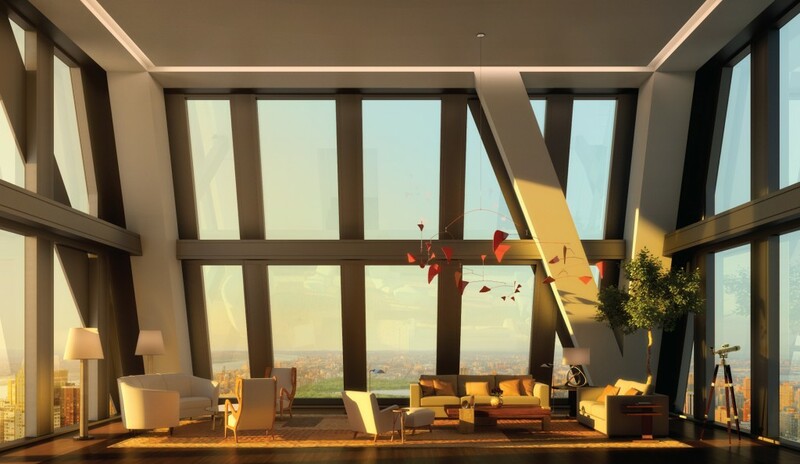 Amenity spaces will include a library, private theater, a shared lounge on the 46th floor, lap pool, wine vault, private storage, and reservable formal dining rooms. 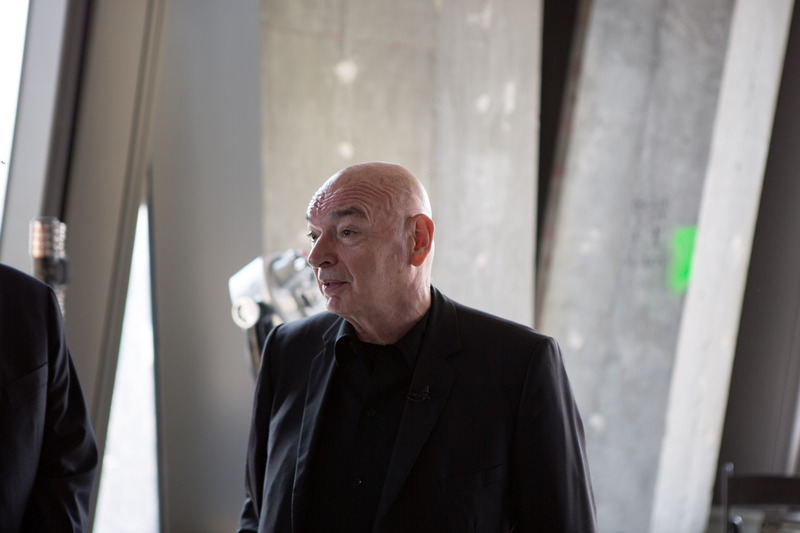 Jean Nouvel is responsible for the striking design, which features gold and silver-foil tipped setbacks on the top of the building’s eastern and western sides. The gold stands out from the sky, while the silver foil will blend in with the sky, optically exaggerating the total height. 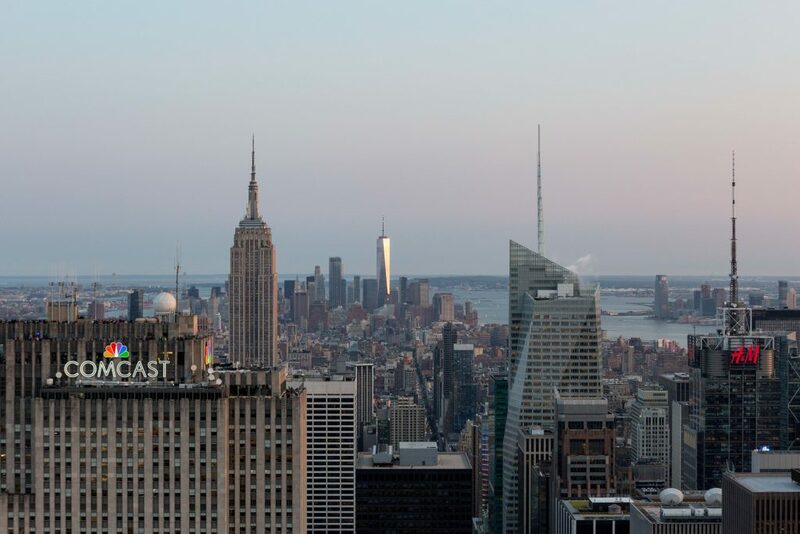 The tower’s distinctive dark profile, bold diagrid pattern, and mountainous sloping have made it unlike any other tower in New York. 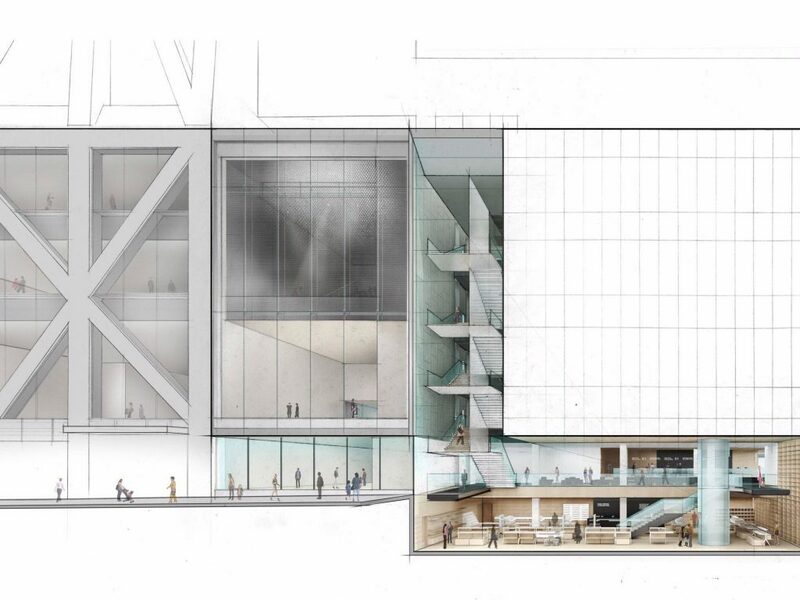 The most exciting addition to the building for the public will be the MoMA expansion. 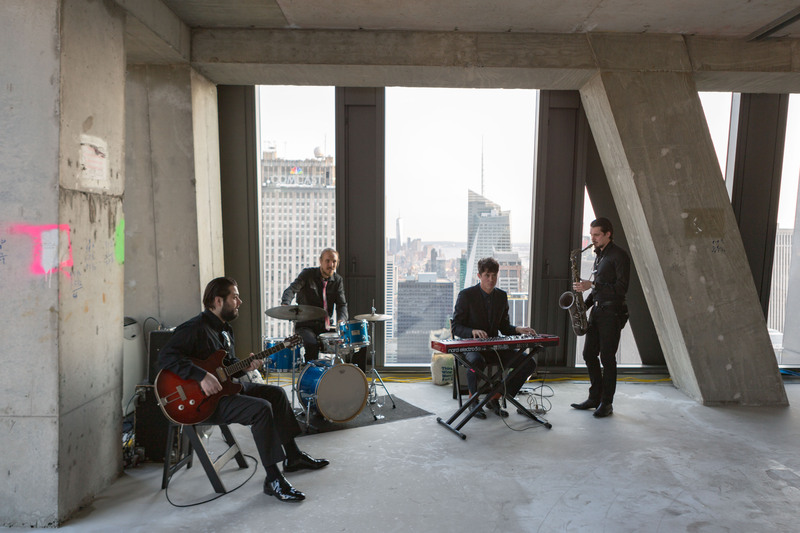 Their expanded footprint in Midtown is largely thanks to a $450 million investment for the 50,000 square foot of new exhibition space. The new wing will open in 2019. 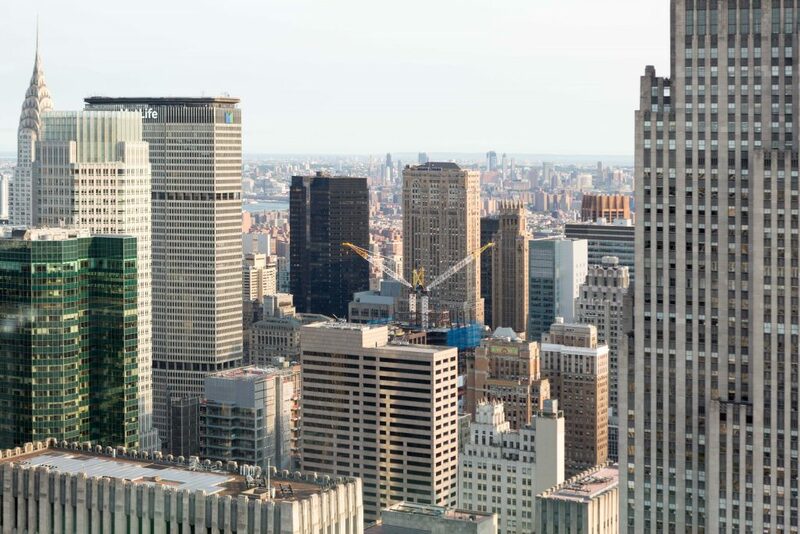 The structure was formerly known as Tower Verre and is now alternatively known as 53W53 or the MoMA Expansion Tower. 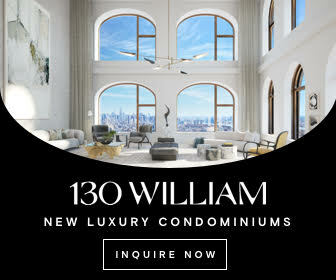 The building has famously taken eleven years to get to this point, which included a controversial 200-foot height reduction. 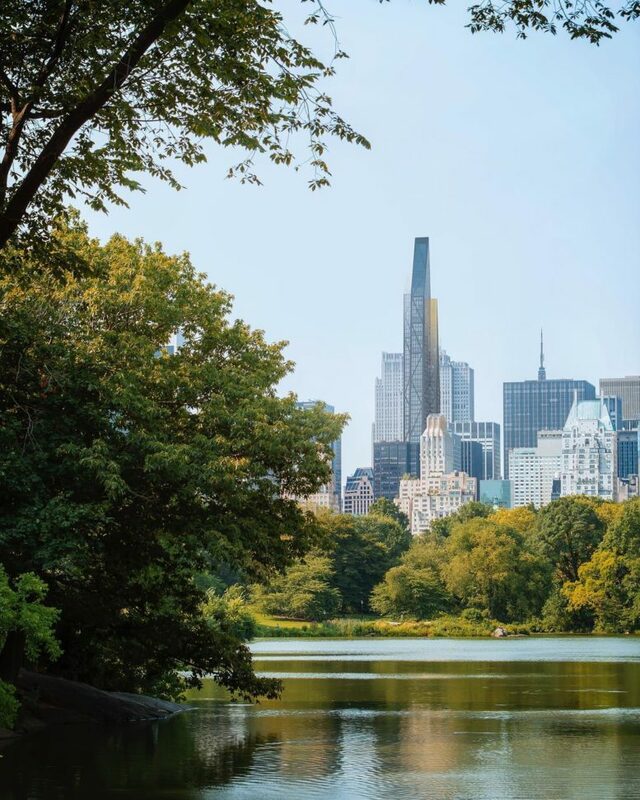 Residents in the tower will have unique Benefactor MoMA memberships, which include free admission, curated benefits, and the opportunity to host private events in the museum’s Sculpture Garden. 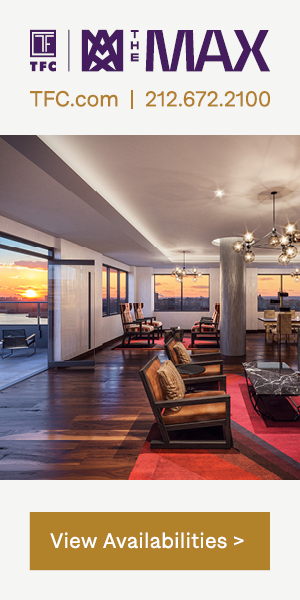 Part of our visit included a sunset visit to the building’s highest unit, a duplex penthouse on the 73rd floor. 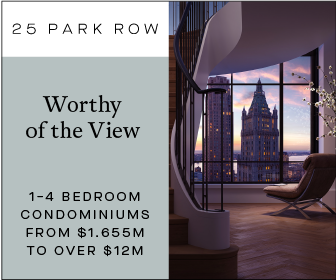 The spectacular views of Central Park and toward Downtown are an amazing benefit to the real estate. 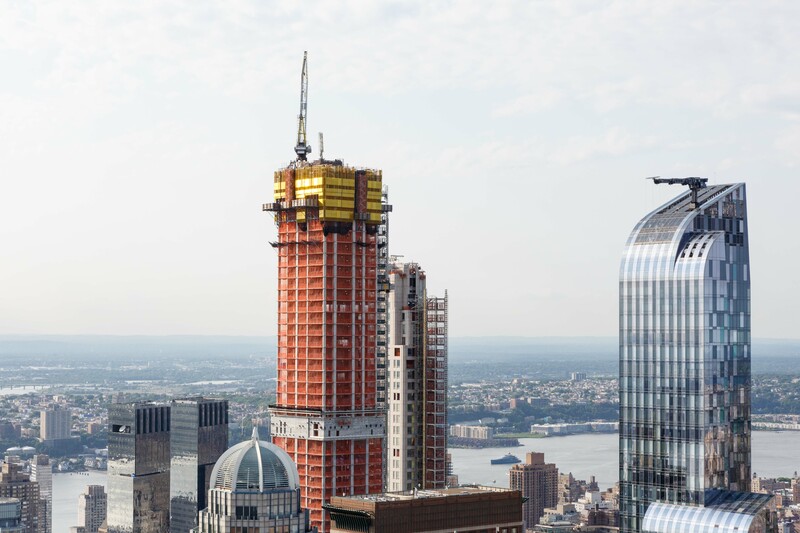 111 West 57th Street is making significant progress, now 70 percent of the way toward reaching the final habitable floor. Construction is on the 57th floor, out of 82 floors. SHoP Architects designed the building, with JDS Development and Property Markets Group responsible for the development. Prices range from $15.5 million to $59 million, with projected sellout targeted at $1.45 billion. 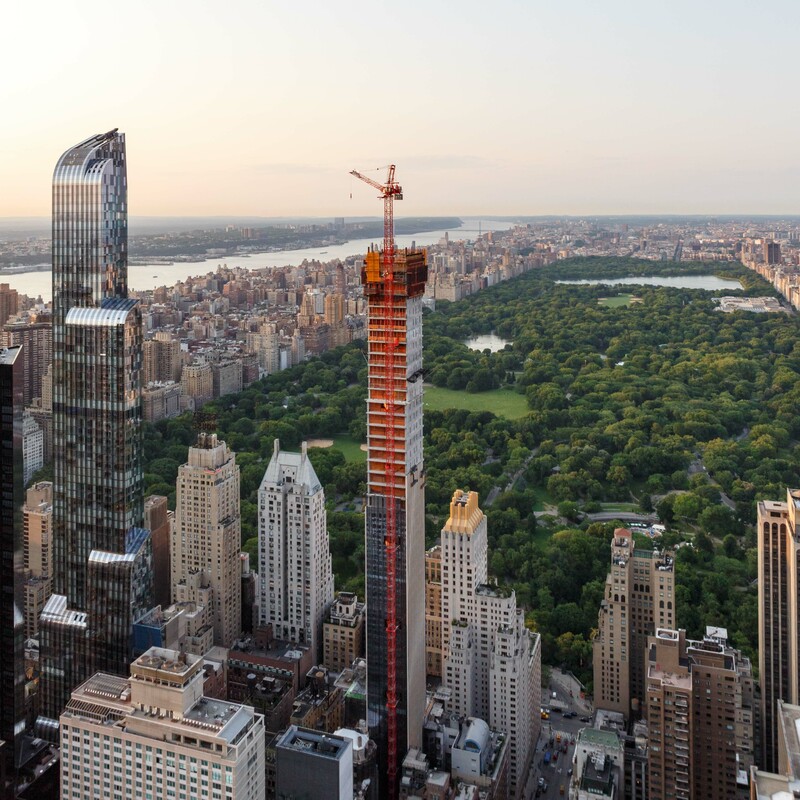 Construction on Central Park Tower has now reached twelve floors above 220 CPS on it way toward the 1,550-foot tall peak. Façade installation is underway, but it will take another dozen floors before CPT truly begins to dominate its surrounds on the skyline. 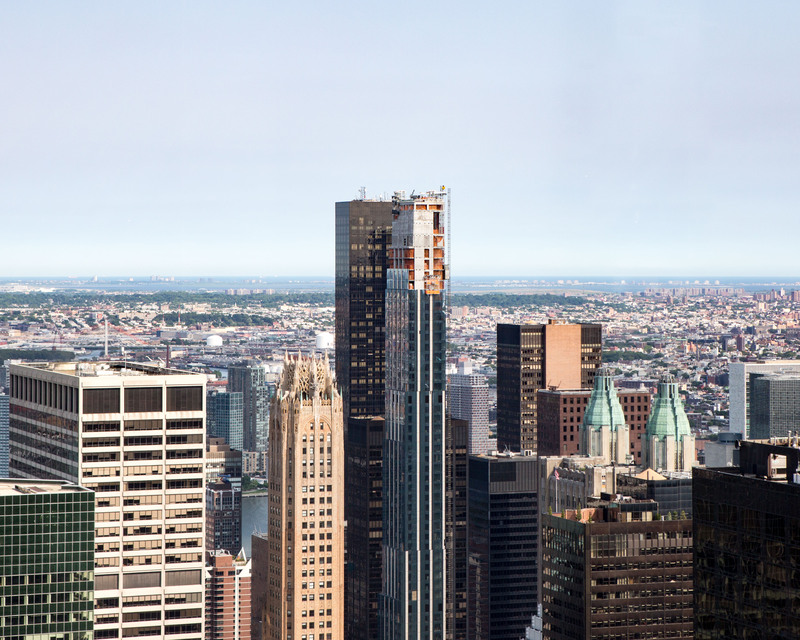 The 99-story building will create 179 condominiums, with prices expected to average $7,106 per square foot. 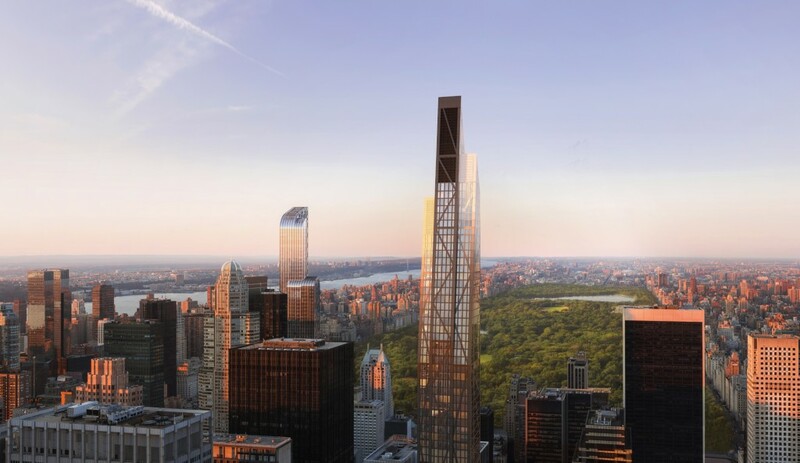 The most expensive unit will be a $95 million penthouse. 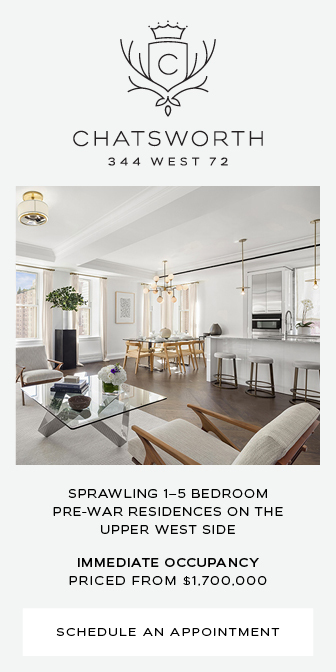 Adrian Smith + Gordon Gill Architecture is the design architect, and Extell is responsible for the development. 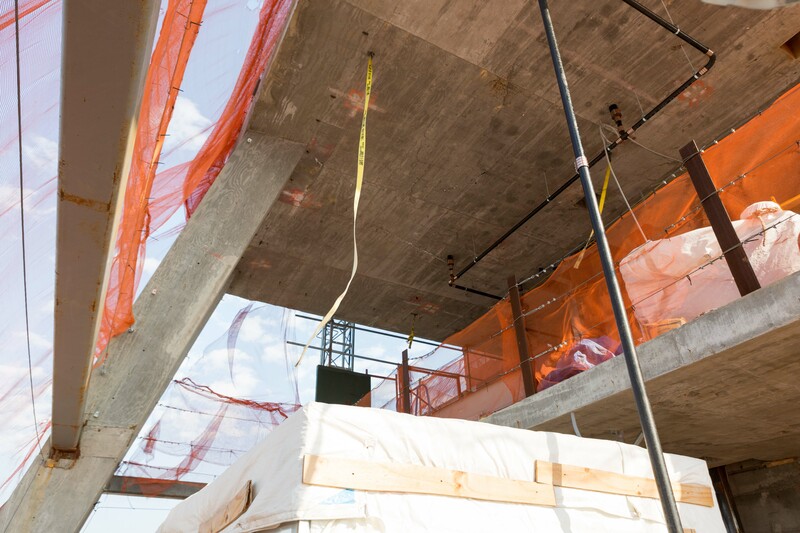 Topping out is expected to occur in 2019, with completion expected by 2020. 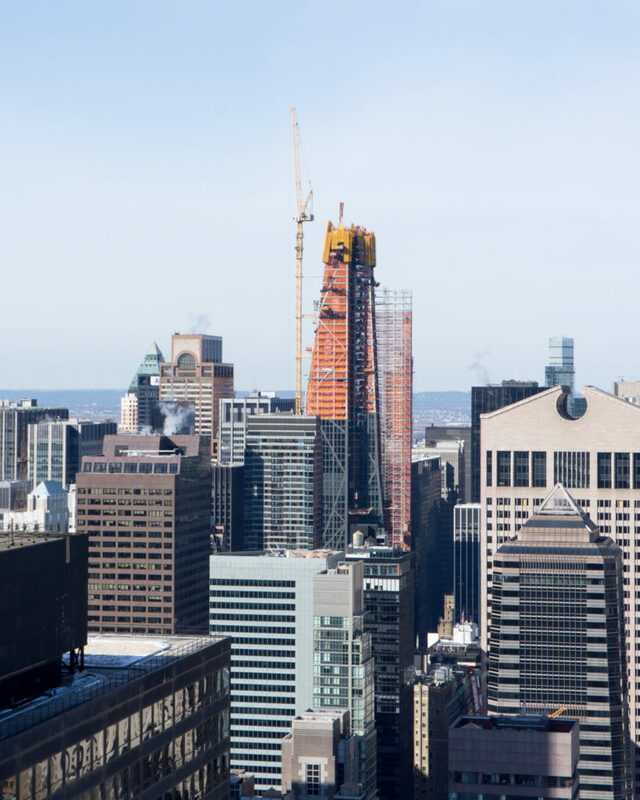 Movement for One Vanderbilt Avenue has also been sizable, and the supertall is starting to rise into the periphery of the Midtown Plateau. See our article posted yesterday for a more in-depth report. 138 East 50th Street stands nearly complete. The façade is finally near the rooftop, meaning the major focus at this point will be on the interior work. Pelli Clarke-Pelli designed the 800-foot tall terracotta clad tower, and Ceruzzi Properties is responsible for the development. Completion is expected by the end of the year. The tops of two of the three Waterline Square buildings are just barely visible, revealing their sequential rhombus pattern. For more information, see our tour of the complex from May, at the previous link. 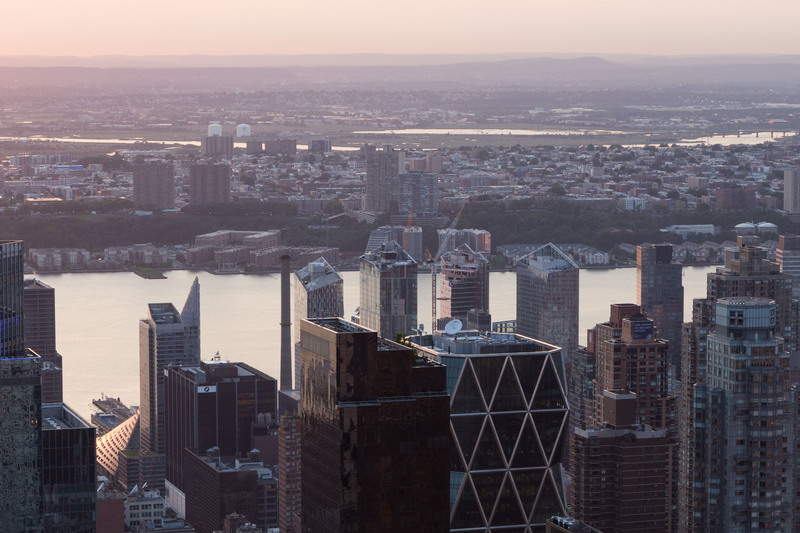 Looking to Midtown West, the first phase of the country’s largest ever planned development is about to reach its peak height. The distinctive 100th-floor observation deck is fully formed now at 30 Hudson Yards. Meanwhile, its top is inching toward topping out. 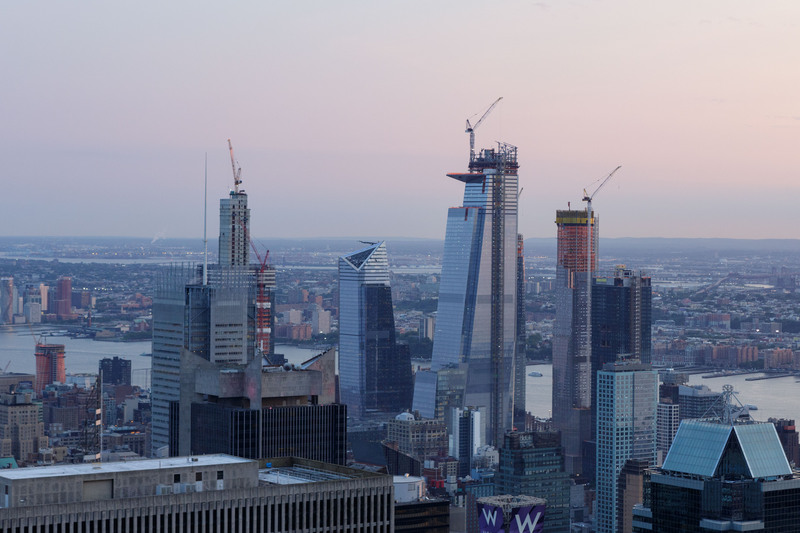 It will soon join 10, 15, and 55 Hudson Yards as the topped-out towers of Hudson Yards, with the relative stragglers from the first stage being 35 and 50 Hudson Yards. Phase Two is expected to begin soon. Read more about the development from our recent tour, which included views from the top of 15 Hudson Yards. Though the MoMA Expansion tower has topped out, the façade remains just ten floors below the top. It is only a matter of time before the tower rises to its full height, and is entirely covered by the attractive steel diagrid façade. Completion is expected by the end of the year, with a possibility of extending into next year. 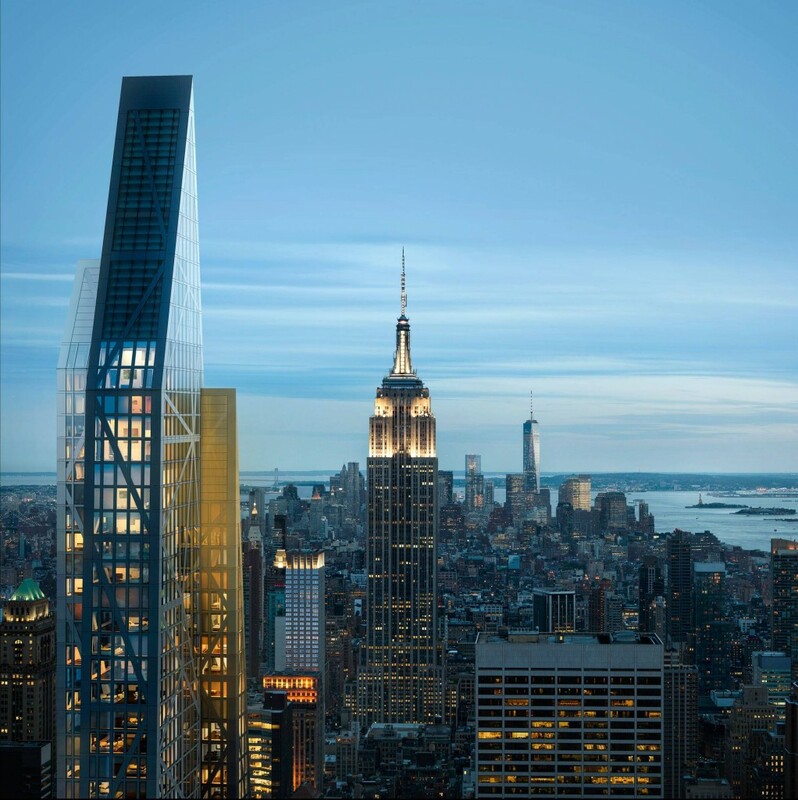 6 Comments on "Jean Nouvel Presides Over 53 West 53rd Street’s Topping-Out, Views Show Rest of Billionaire’s Row Continues to Rise"
Please pardon me for using your space: Wholly towered amazed me anyway, with powerful progress every direction. Truly a travesty and heartbreaking that this tower was never allowed to reach its originally slated peak. Monath, you philistine! Who could NOT hesitate to use the word “heartbreaking” where the literal heights of human art and aspiration are at stake? !